Here’s a short sum-up on how to (re-)format your hard- or usb drive from the command line using fdisk. Don’t do any of this unless you fully understand what you are trying to do. This will wipe your drive clean, deleting all that’s on it. replace the “sdc” with the drive you want to edit. Enter “p” to see the partition table of the drive. Type “n” – “Enter” – Then press “p” to create a primary partition and choose 1 as partition number. Now set the filesystem type for your new partition with the “t” command. press L to see the hex code for the filesystem you need. 83 is ext2 Linux which is used in the rest of this example. After you’ve set the filesystem use the “w” command to write your new partition table and exit fdisk. 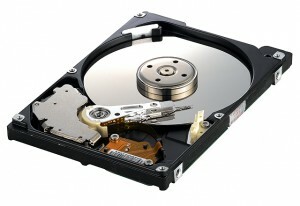 Now run a check on the drive and enter it into your fstab so that the drive mounts each time you start your computer. After fsck runs, you’re done.